SeaWorld is suing the California Coastal Commission over the agency&apos;s October decision to ban the theme park from breeding captive orcas. The company filed a lawsuit on Tuesday in the San Diego Superior Court, arguing that they want the ban reversed and the Coastal Commission made a ruling that was outside of their authority, according to the San Diego Union-Tribune. Over the summer, SeaWorld Entertainment proposed a $100 million Blue World Project for its San Diego park, one that would nearly double the capacity of the current orca habitat for its 11 killer whales. It would be increased to nearly 10 million gallons of water, and cover a total surface area of about 1.5 acres. In November, SeaWorld announced that it would be ending its killer whale shows in 2017 and replace them with an experience that would be "informative" and with a "conservation message inspiring people to act." 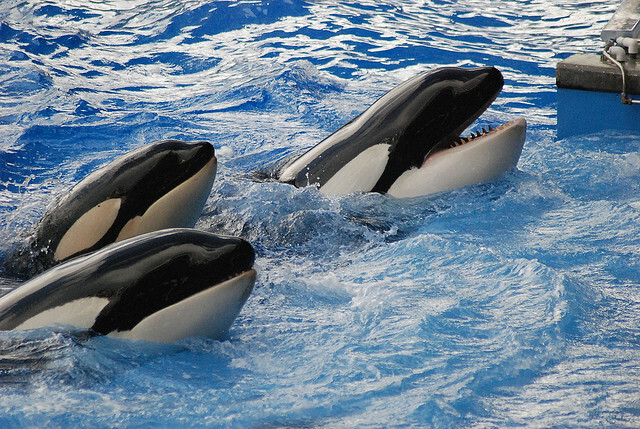 While the Coastal Commission approved the habitat expansion in October, they said it could only be done under the condition that SeaWorld no longer breed captive killer whales. The vote also prohibited the sale, transfer, or trade of captive orcas. SeaWorld put the Blue World Project on hold, and vowed to challenge the ban, and that day has come. "The Coastal Commission has neither the legal jurisdiction nor, accordingly, the expertise, to dictate the care, feeding or breeding of animals held solely in captivity under human care," according to the lawsuit, filed by the Los Angeles law firm of Manatt, Phelps & Phillips, according to the L.A. Times. The suit alleges that while the Coastal Commission can make decisions on projects that affect coastal and marine environment, they have no jurisdiction on how to care for marine animals in their park. "The orcas are not, in any way, part of the coastal or marine environment," according to the lawsuit. "All of SeaWorld&apos;s activities with respect to the care, breeding and transportation of orcas occur onshore in the orca pools and not in the marine environment and are specifically governed by federal law." Coastal Commission spokeswoman Noaki Schwartz told the San Diego Union-Tribune that they haven&apos;t had time to review the suit yet, but the agency "stands by its decision in October to protect killer whales." "It&apos;s clear that the company&apos;s primary intention in pursuing the Blue World Project was to breed more orcas to confine to tanks," PETA said in a statement. Since the release of the 2013 documentary Blackfish, which was critical of SeaWorld keeping orcas in captivity, the company&apos;s stock and and attendance has dropped.